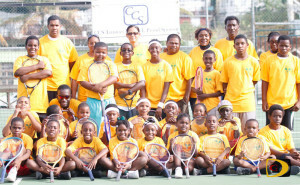 Mitchell, who succeeded Dion Anslem in the post, has young players from Willard Wheatley, Francis Lettsome, St. Georges, Cedar International and Althea Scatliffe Primary Schools and the Elmore Stoutt High School in the Long Look East End Tennis Club program that started in 2010, said she’d like to see the sport eventually a part of the physical education curriculum. Among her first year plans are developing a competition calendar, outlining the number of tournaments annually, the development of a national team, implementing a Jr. ranking system, something she said is needed in helping with the level of each player and it gives each person an incentive and the program a chance to grow. “It’s long overdue,’ she said. 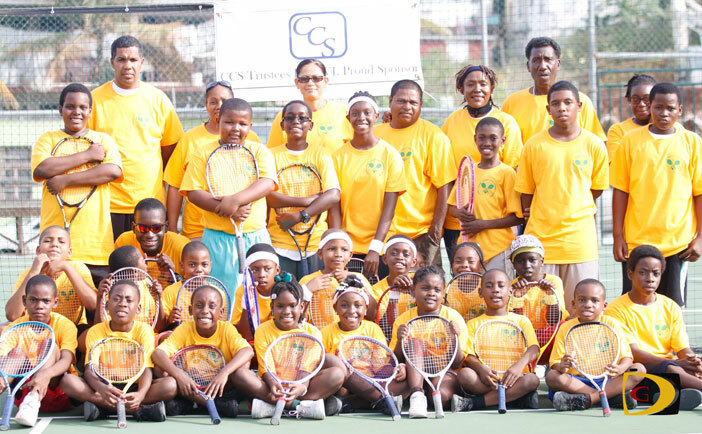 The plan she said is for all the U10 players to become members of the Tortola Sports Club so that they can do advanced training there. Mitchell thanked the previous association for the work they have done and promised to run a transparent organization.